Last updated by Marcia Mayne at January 24, 2016 . The end of the year usually inspires reflection on the year that’s ending and a look forward to the one that’s approaching. Maybe it’s getting older, but it seems like time moves more quickly now (I’m beginning to hear myself lamenting its rapid passage just like my mother did. I, however, prefer to think that I’m packing in 1000% more into my life, and this makes the days, weeks and months zip by in a blur). So it’s good to have this time to slow down and look back. Photos are great for doing that. Think of them as moments of emotions frozen in time, that are re-released each time you look at them. Unlike previous years, I didn’t have many new travel experiences in 2015 – or so it seemed until I started looking at my photos, a lot of which never made it to the blog because I didn’t post as often as I used to. Still, whether I’m in Montego Bay or New York, I’m in a prime vacation destination. People, lots of them, leave home to see the things I pass by without noticing. Take Times Square, for example. I avoid it as much as I can but every so often, it surprises me. Like the night I was hurrying through after seeing a play and saw this: two giant, colorfully illuminated lights wishing Happy Birthday to the late Bob Marley, the reggae superstar who would have been 70 last February 6th. Later that month, during Japan Week, I watched as a bride-to-be (winner of a contest) was dressed in a traditional wedding kimono, called uchikake, in Grand Central Station. Japan is a country steeped in culture and tradition so it was fascinating to watch this demonstration. On a personal note: I started learning Japanese this year. Hopefully, by the time I make it to Tokyo, I’ll know enough to get around. It goes without saying that the arts are big in New York. Here’s a look back at a few of the exhibitions I saw last year. I went twice to Columbia University’s Wallach Art Gallery to see Romare Bearden’s collages, drawings and watercolors that he based on Homer’s epic poem, The Odessy. I’m a Bearden fan – I even have one of his collages – but this piece touched me to the core. At the Brooklyn Museum, I revisited Judy Chicago’s The Dinner Party, which is on permanent display. Each time I see it, I marvel at Chicago’s vision and her celebration of womanhood. Also at BAM, I saw Kehinde Wiley’s, A New Republic – portraits of contemporary blacks painted against Old Master backgrounds, like the one below of Michael Jackson on a horse. I also breezed through (the museum was closing) Jean-Michel Basquiat’s Unknown Notebooks. I rush to see Cecile McLorin Salvant, who at 25, has been called a jazz “phenom.” The Grammy Award winning artist has a voice that recalls Ella Fitzgerald, Sarah Vaughn and Betty Carter. She grabs hold of your attention whether she’s singing in English or French, her own compositions or jazz standards. When the Whitney Museum of American Art relocated to its new building in the Meatpacking District this spring, it hosted a Block Party that drew thousands of visitors. Although I hate crowds, I was curious to see the new space. Plus, the warm temperature made it the perfect weekend – the one where you linger over brunch, look at art and take long walks. We waited on line for close to an hour (the museum handed out bottled water) however, by the time we got to the inaugural exhibition, America Is Hard to See, I was so over stimulated visually, I couldn’t appreciate anything I saw. I just wanted to get back outside. We walked the length of the High Line from the Whitney (Gansevoort Street, south entrance) to the north end at 34th Street. It was a glorious day to be out. In June, we saw Jamaican sprinter, Usain Bolt, run the 200 meters at the Adidas Grand Prix at Ichan Stadium. I love going to Coney Island but I prefer the quiet of the off-season when there are no crowds and I can hear the sounds of the waves crashing to shore, birds cawing overhead, walk the beach and look for shells. Coney Island beach. Where’s Everyone? Soon the hectic pace of summer gives way to the calm of fall. This year, we hosted Pope Francis, as well as more than 150 heads of state, including President Barack Obama, at the UN General Assembly. Since my office is close to the UN and St. Patrick’s Cathedral, where the Pope celebrated mass, I had to plan ahead to avoid street closures and ‘frozen zones.’ I’ve never seen Fifth Avenue so deserted. The first Sunday in November, the city slows down for elite and everyday runners and wheelchair athletes who come from all over the world to participate in the New York City Marathon. New York does it up big for Christmas and the UNICEF Snowflake Star at 57th Street and Fifth Avenue is an important symbol of the season. When I lived in DC, my colleagues and I would go to Cristfield Seafood for lunch every payday. My favorite thing on the menu: a cup of lobster bisque and a shrimp salad sandwich. The salad was so stuffed with shrimp, I’d save half for dinner. I returned to Cristfield’s after my White House tour and was pleasantly surprised to find the bisque and the sandwich taste exactly the same as they did the last time I had them – more than 10 years ago. Whenever we visit my friends in Toronto, they always have a hot, new restaurant for us to check out. Last time, it was Quatrefoil and I selected this entree. The first time I had bangers and mash was at The Shakespeare in New York City, just before my trip to London. My writing group had one of our social events here. So where did I go in 2015? I visited Toronto a few times but my major trip was to London. I’ve written several posts about London, Stonehenge and Oxford. Stay tuned for my posts about Edinburgh, where I spent a day. If you read paperbacks, I’m sure you recognize the logo. This plaque marks the location where Penguin published its first paperback. Ede & Ravenscroft, London’s oldest tailor and robe makers, has been around since 1689. In case you’re wondering, they also do women’s clothing. Red phone boxes similar to these probably made their way to all of Britain’s colonies – we had some in Jamaica. But with cellphones so ubiquitous these days, phone boxes are not so necessary anymore. After I took this photo, I noticed that there was a guy sleeping in the middle booth. I look forward to flying into Laguardia Airport for one reason – this incredible view of New York City. Thanks for reading and commenting on my blog and for taking this look back through 2015 with me. In appreciation for your support, I’d like to offer you a chance to win one of ten GPSMyCity‘s Self-Guided City Walks Apps. The app is available on iOS and Android and you can select one for the city of your choice (Please check the GPSMyCity for a list of cities). If you’re one of the ten lucky winners, you’ll receive a promo code that will allow you to download a full, FREE version of a City Walks app. The app includes a detailed, fully functional city map and several carefully selected self-guided city walks. Linking this week with Travel Photo Thursday, hosted by Nancie at Budget Travellers Sandbox, Jan at Budget Travel Talk, Ruth at Tanama Tales, and Rachel at Rachel’s Ruminations. Be sure to check them out! Walking south from the Staples store on Broadway, I looked west down Vesey Street and saw the World Trade Center as if for the first time. With its solid-looking base tapering into a 400’ antenna, it looks as if it’s reaching to the sky. I stopped and stared for a few minutes before taking out my camera. I’ve taken other photos of the World Trade Center before from near the site and from the New Jersey side but I think this is probably one of the best views I’ve seen. At 1,776 feet (the year the United States Declaration of Independence was signed), it is, at the moment, the tallest building in the U.S., and the fourth tallest in the world. And it does looks pretty attractive. Framed by surrounding buildings, softened a bit by a few leafless trees, it’s shiny, ultra modern exterior and clean lines makes me think of the narrow legged pants that seem to be the rage in men’s fashions. As I looked at it through the viewfinder, my camera lens bringing it closer, I could almost understand why a teenager from New Jersey took an elevator to the antenna a few weeks ago. And I could almost imagine daredevil climbers pouring over every photo taken from every angle trying to figure out how to scale it. I was about to move on when I noticed something else: a small plane flying away from the building. Once again, I stopped and quickly refocused so I could capture it. Can you see that small plane? I’ve yet to visit the museum. Truth be told, I’m a little nervous. Too many memories. Linking up this week with Nancie’s Travel Photo Thursday at Budget Travelers Sandbox and Noel’s Travel Photo Monday at Travel Photo Discovery. Be sure to head over to view more photos from around the world. Last weekend, I took the 5-minute ferry ride from Manhattan to Governors Island for Fête Paradiso. It was my first time visiting the island and I realized pretty quickly that I didn’t know much about it. Governors Island is located about a half mile from the southern end or Lower Manhattan. The island is 172 acres, a mile long, and a quarter of a mile wide. New York’s Native Americans had called the island Paggank or ‘Nut Island,’ for the number of oak, hickory and chestnut trees there. The Dutch also called it Nut Island but during the British colonial period it was reserved exclusively for use for New York’s royal governors and renamed Governors Island in 1784. Governors Island served as a military base and Coast Guard installation for more than 200 years. During that time, it was off limits to the public. There are three historic forts on the island. Two – Fort Jay and Castle Williams – were named National Monuments in 2001. Governors Island became part of New York, legally, in 2003 when the federal government transferred the island to the City and State of New York. The City, through the Trust for Governors Island, is responsible for the operation, planning and redevelopment of the island. Mayor Bloomberg, the current mayor, has earmarked $250 million to make Governors Island into a public open space with educational, not-for-profit, and commercial facilities. Governors Island is open from Memorial Day to the end of September and hosts a variety of free artistic and cultural events during the season. In addition to Fête Paradiso, the day I went, there was an art exhibit in several of the historic houses on Nolan Row as well as handmade gifts and personal items like T-shirts, hats, scarves, etc., available for sale. Governors Island is open to the public from 10:00 a.m. to 7:00 p.m. on Saturdays, Sundays and Holiday Mondays and private events such as weddings, family reunions, picnics, and corporate outings can be held there. No alcohol can be taken to the island. However, alcohol can be purchased at designated areas. Barbequing, cooking and grilling are also not permitted. Governors Island is accessible by ferry only; no private vehicles are allowed. Ferry service is available from Battery Maritime Building in Lower Manhattan and from Brooklyn and Queens. Governors Island is a charming oasis with incredible views of Manhattan. It’s the perfect place to spend an afternoon bike riding, walking or just relaxing. Linking up with Travel Photo Mondays which Noel at Travel Photo Discovery organizes. The Labor Day weekend means one thing to New York’s West Indian American community: the West Indian American Carnival! 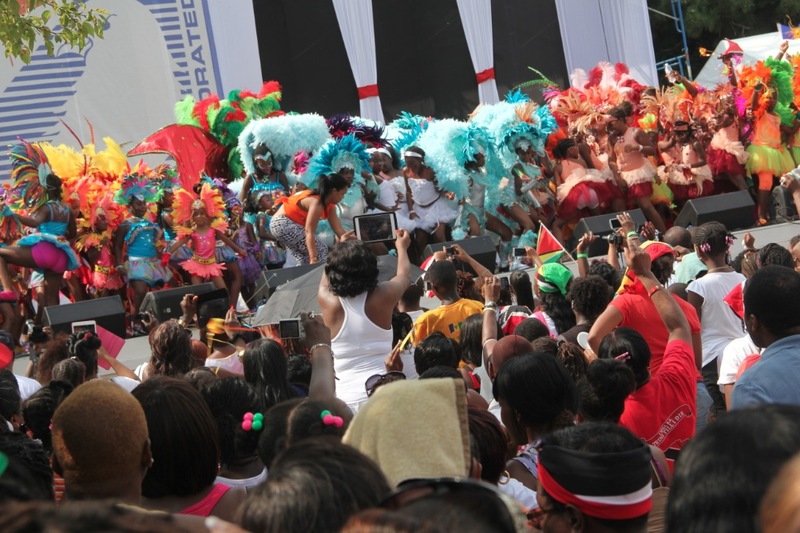 Now in its 46th year, the Carnival bills itself as the greatest carnival in North America. It is perhaps New York’s largest cultural festival. The celebration of carnival began in the 1920s as a private event among the West Indian communities in Harlem. It became an official event in 1947, when a Trinidadian woman received a permit from the city to organize a street festival on Labor Day. In 1964, the city revoked the permit because of a disturbance at one event. The festival resumed in 1969, in a new location – Brooklyn’s Eastern Parkway – perhaps following the migration of West Indians from Harlem. 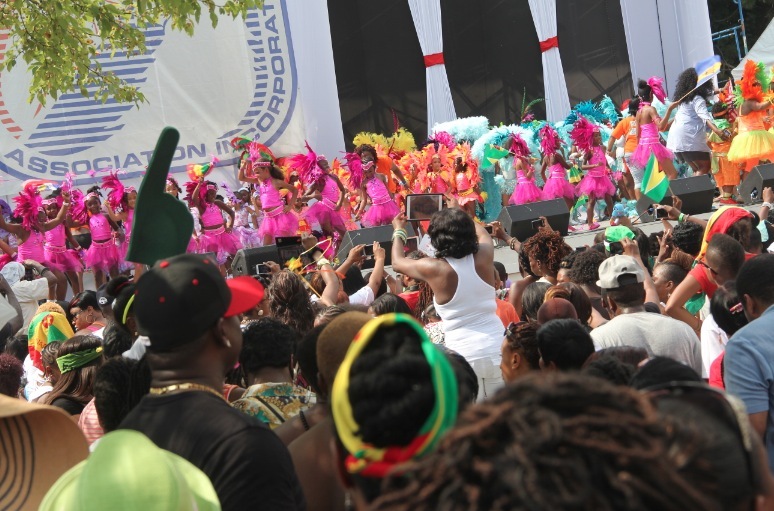 It also had an organizing committee, the West Indian American Day Carnival Association, which, under the 32-year stewardship of Carlos Lezama grew into the signature event it is today. Each year, the carnival kicks off on Thursday with a music festival, featuring some of the region’s popular entertainers. On Friday, there’s a Youth Fest and a Brass Fest; and a Junior Carnival Parade and Panorama Steelband Competition on Saturday. Fat Sunday (Dimanche Gras) features the winner of the steelband competition as well as the king and queen costume winners. And on Labor Day Monday, the activities come to a grand finale with parade which attracts elected officials – the Brooklyn Borough President, Marty Markowitz, has been the grand master for the last several years – business leaders, members of the Caribbean diplomatic corps and between one and three million people. 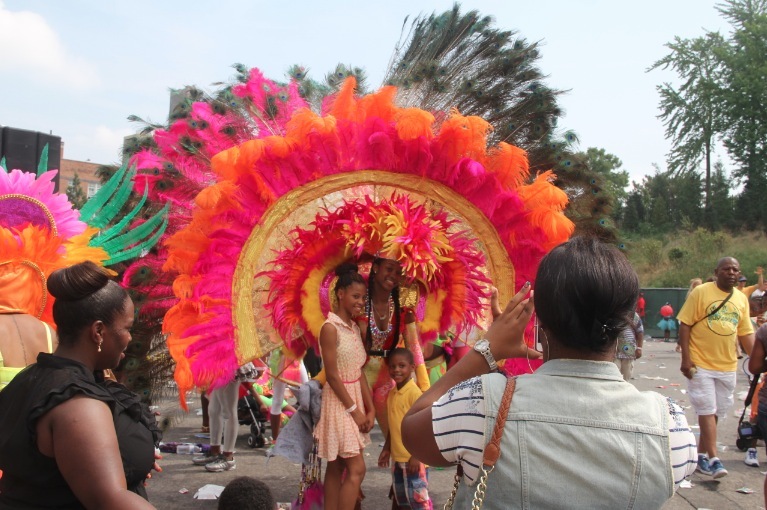 They line the Eastern Parkway parade route from Schenectady Avenue to Grand Army Plaza enjoying Caribbean food, the many floats, costumed bands, and the sounds of Soca, Reggae, Zouk, Kompa, Salsa and Calypso. Like most West Indians, I look forward to carnival and have spent many a Labor Day on the Parkway. Had it not been for my not-totally-back-to-normal-ankle, I would have been there this year. The junior carnival was a good compromise as I’d never been and I was curious to see the youngsters do their thing. Yes, carnival is not only for the adults. It was nearly 2 pm when I arrived at the Eastern Parkway/Brooklyn Museum station. As I exited the subway, I was surprised to see several parents and their costumed youngsters waiting to board. Was the carnival finished? I was relieved when one mom said her daughter had already performed and they were going home to rest. Outside the station, more people were sitting on benches near the museum’s entrance or milling around. I followed the sound of soca music to the area behind the museum where the carnival was taking place. There were food vendors, face painters and people, lots of people, flags waving, flags tied on their wrists, or dressed in the colors of their respective flags. There was pride and excitement in the air. There were only a few bleacher seats and they were already taken so I joined a group of people standing partially under the shade of a large tree. But I was so far back, I could hardly see the stage when the different camps danced and paraded before the judges, without raising myself on to my toes – something I could have done easily pre-accident. I was lucky to get a few photos. I’ll just have to get there earlier next time. 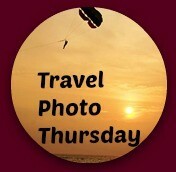 Linking up this week with Travel Photo Thursday, which Nancie at Budget Travelers Sandbox organizes. It’s beginning to look a lot like Christmas in New York. Here are a few scenes from Bryant Park. I’ve always loved Bryant Park – it’s small and intimate, and very accessible especially for people who work in midtown. People stop by during lunchtime, sit at the tables and read or take advantage of their free wifi. In the summer, there are movies. In winter, ice skating. Last Saturday, as I traveled around the city, I couldn’t help noticing that almost every guy of a certain age (and some girls) was dressed like Santa. Cars honked and people waved when they saw them. But these Santa guys and gals weren’t going to dole out gifts, they were part of the Santas-only pub crawl – a flash mob type event that brings together people dressed as Santas, elves, etc. They go from bar to bar, drinking and generally having a good time. Great way to get “into the spirit,” isn’t it? This Santa agreed to let me take a photo but pulled on his mask just as I raised the camera.